I’m constantly searching for skincare and beauty related products.. creams, lotions, masks.. I’ve tried them all! I thought it would be a fun experiment to try something that promotes beauty from within. The four products listed below have all been tested by me over the course of the last few months and are all based on my own personal results. I used each supplement at different times from one another to avoid any potential health risks. I recommend consulting with your doctor before trying any of these supplements, and most definitely do your research to educate yourself on whether these are the right option for you. [ HUM Nutrition .:. Skinny Bird & Flatter Me ] • It’s purpose: Skinny Bird is a vegan dietary supplement meant to reduce stress eating, boost metabolism and curb appetite. This is my second time I’ve used Hum Nutrition supplements and I love the results just as much as I did the first time! Skinny Bird contains four pure, essential ingredients to support weight loss, 5-HTP, green tea extract, caralluma fimbriata and cinnamon. I noticed it curbed my daily sugar cravings and overall suppressed my appetite. 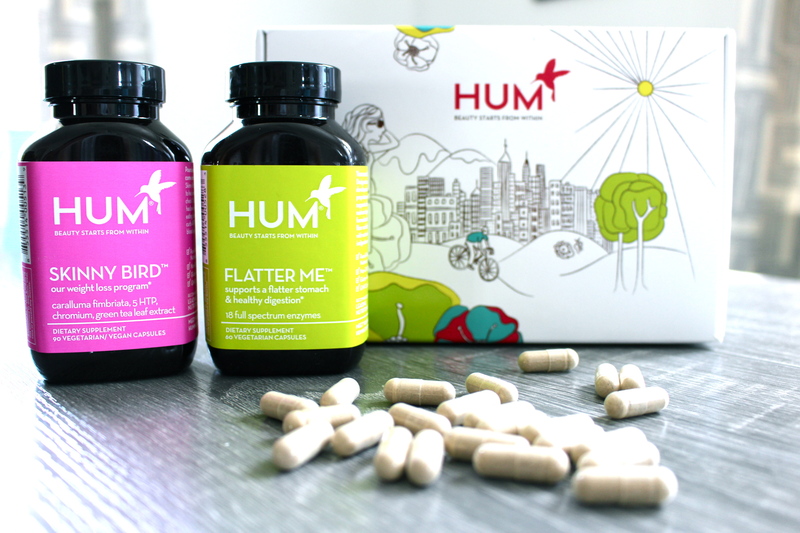 Now on to “Flatter Me”, it’s a dietary supplement consisting of 18 enzymes for a flatter-looking stomach and healthy digestion. Hum’s data analysis showed that poor digestion was a key component in being overweight. The combination of these two supplements are second to none. Weight gain is my biggest downfall, and at times, kills my confidence. I’m not looking for a miracle pill to make me skinny overnight, but could use the push to motivate me to stay on a healthy diet and just be more conscious of what I consume. I switched back and forth from Skinny Bird to Flatter Me, and am SO happy with my results. I love Hum’s supplements because you notice the results really quick. It only took a few days before a felt a difference in the way my clothes fit and how much better I felt overall. I lost 5 lbs total in one week and felt skinnier, less bloated and most importantly healthier! With the proper diet, increased water intake and a little exercise you are sure to see results. I’m taking part in a wedding in just 3 weeks and these will most definitely be my saving grace the week of! [ ZSS Skincare .:. Method 2 ] • It’s claim: decreases pore visibility, reduces blemishes and redness, and promotes skin radiance. I actually read about this on another blog and was immediately intrigued. I’ve mentioned before that as an adult I have way more breakouts/blemishes that I did as a teen. This is a 2 part system containing both a packet of supplements as well as a nutri-serum that’s to be applied daily to your clean face and neck. The key ingredient is Zeaxanthin, which is a strong antioxidant derived from paprika peppers, and it’s purpose it to promote healthy skin from the inside out. My skin type: oily T zone, uneven (slight redness) and acne prone. 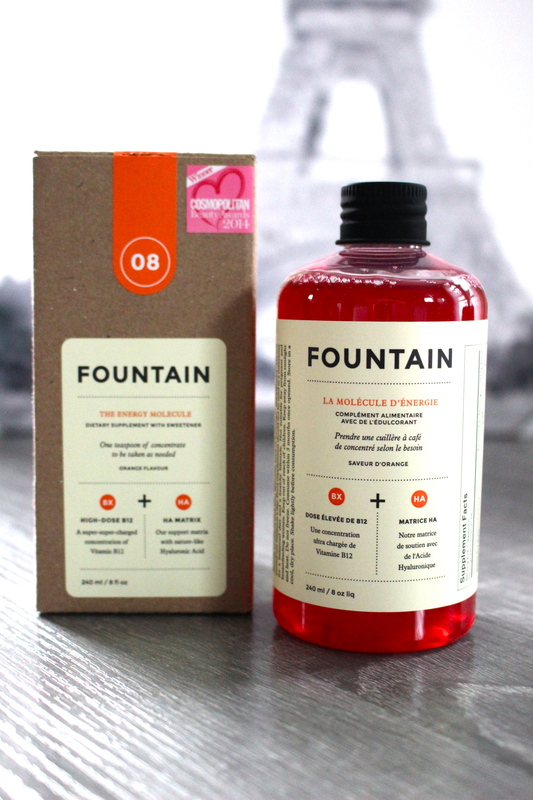 The serum included is great, absorbs quickly and I used it every night as a part of my evening skincare ritual. 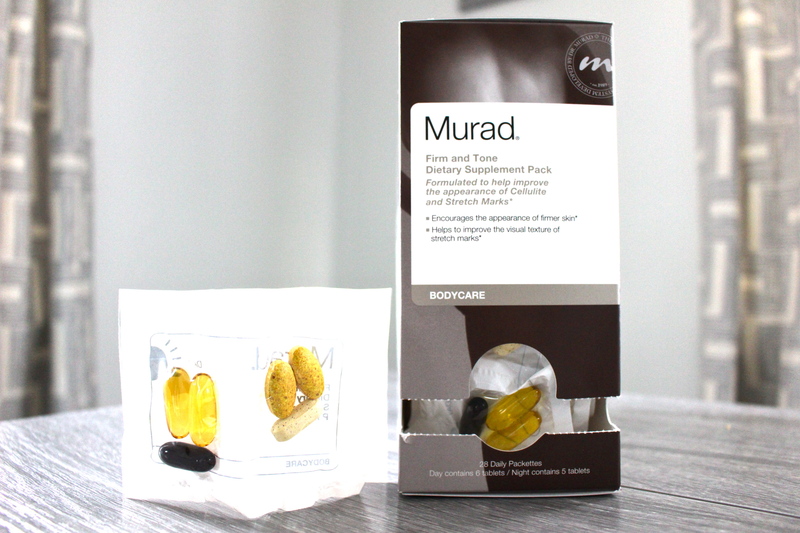 What I loved most about using these supplements was the decrease in oil (sebum) my skin was producing! I’ve used TONS and tons of different skincare products and while they all offer different benefits and many help with the oiliness, none of them work to completely banish it.. this does. I started to notice a difference in my skin after about two to three weeks. It had a subtle glow and WAY less oil, I was able to cut back on wearing full coverage foundation because my skin appeared much smoother and clearer. [ Fountain .:. The Energy Molecule ] • What is it? “A beauty and lifestyle supplement with a concentrated energy complex of Creatine, Vitamin B12, and Hyaluronic Acid matrix to provide sustainable lasting energy.” Vitamin B is essential for good health, amongst many of its benefits, one is to help fight fatigue. While I still enjoy my cappuccinos and lattes, I’ve cut back on drinking my daily cup of coffee. I’m sure anyone else with small children can agree that any added boost of energy is always welcome! Why I love this: it gives me a much needed kick of sustainable energy without that daunting crash I get from caffeine. I don’t take this every single day, but when I do, I feel much more energized, focused and alert. I only take about a teaspoon every other day or on days I’m desperate for energy. It tastes good and is a drinkable supplement which is great if you’re not a fan of swallowing pills. [ Murad .:. Firm & Tone Dietary Supplements ] • What it’s meant for: cellulite & stretch mark management. It claims to encourage the appearance of firmer skin by 78% and improve visual texture of stretch marks by up to 47% all in just 8 weeks. Does it work? It’s not a miracle worker and won’t transform your skin without you putting in any effort, but with consistent use and exercise you will more than likely notice a difference. I’m not embarrassed to admit, after having 2 kids my skin is nothing like it was. Stretch marks and cellulite are unfortunately a part of my life. I started to notice a difference in my skin within the first 2 weeks of use. I used the vitamins as directed, one pack in the morning and one in the evening, consistently. My stretch marks were visibly lighter, and my skin appeared much more smooth. I don’t have too much cellulite but what I HAD, slowly started to disappear. This was my first time taking any supplements targeted specifically for stretch marks, and I’m very pleased with my results. A little pricey, but worth it for those of us who avoid wearing dresses/shorts, or any clothing that we feel self-conscious in.